Board Members are General Members of CMGMA who are elected at the November Annual Meeting. The Board serves from January 1- December 31 and conducts the day-to-day activities of the Association between scheduled meetings of members. Board Membership is a great way to become more involved in CMGMA. You can help shape the future of CMGMA by volunteering for a Board position or joining one of our Committees. Click here to download a Board Candidate Interest Form. For more information, please contact the CMGMA Office at info@cmgma.org. Ms. Law had been in HealthCare management for over 30 years. She began her career as an Administrator for the New Haven IPA, before accepting the position of Practice Administrator for Pediatrics Plus in North Haven, where she has been for the past 20 years. Ms. Law is an active member of MGMA, CMGMA as well as the Connecticut Chapter of Pediatric Practice Administrators. She is certified by the American College of Medical Practice Executives (ACMPE) and hopes to expand her credentials by adding a Fellowship to her current certification. In her off time, Ms. Law enjoys spending time with her husband, children and grandchildren. Jed Beaulier is currently the Practice Administrator for Mansfield Family Practice in Storrs, CT. In addition to being a former business owner, Mr. Beaulier has over 15 years of experience in Practice Management, Occupational Medicine, and emergency care. He is a member of both CMGMA and MGMA. Since joining Mansfield Family Practice he has guided the group practice to a new electronic health record, achieved Meaningful Use, and received NCQA level 2 PCMH recognition for the practice. He also serves on the board of directors for Newington Emergency Medical Services. As a dedicated father of three spirited boys his spare time is spent coaching their baseball teams and soccer teams. Ms. Walczok’s career began as an EKG Technician at the former New Britian General Hospital in New Britain in May 2002. Since then, she has worked as a project director, office coordinator, and now holds the position of Practice Manager for Hartford Healthcare Medical Group. 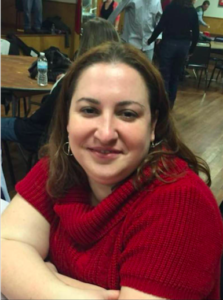 She received her Bachelor of Arts in Sociology from the University of Connecticut and her Master of Science in Human Services from Springfield College. She will be celebrating 15 years of service with Hartford Healthcare this year and manages the surgical divisions of Colorectal, Vascular, Plastic and Reconstructive Surgery, Urology and Women’s Pelvic Health, Podiatry, Neurosurgery, General Surgery, Gynecologic Oncology, and Breast Surgery, all affiliated with The Hospital of Central Connecticut. On a personal level, Diane is passionate about volunteering for Breast Cancer organizations and is active with The Race in The Park sponsored by The Connecticut Breast Health Initiative. You will always see her at the Race with Sophie, her pink poodle and team mascot for Hartford Healthcare. 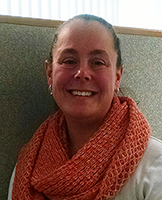 Kelly Riccitelli has started a new position as the Executive Director at OBGYN Group of Eastern Connecticut and previously was the Operations Manager at Comprehensive Orthopaedics and Musculoskeletal Care LLC. She holds a Bachelors of Science degree with a Certification in Radiologic Technology and Computerized Tomography from the University of Hartford. She is Licensed and Board Certified AART in Radiography since 1999 and Computed Tomography since 2010. She is also a Registered Orthopedic Technologist through The American Society of Orthopedic Professionals. Mrs. Riccitelli has worked in the healthcare industry for over 17 years. Her roles have ranged from Radiologic Technologist, Lead Radiologic Technologist, Adjunct Faculty Member at the University of Hartford, Zone Radiology Manager for the Northeast Zone at Concentra Medical Centers, Clinical Manager of an Orthopaedic Practice, Operations Manager and Human Resources of an Orthopaedic practice and currently the Executive Director at OBGYN Group of Eastern Connecticut. She is an active member of both CMGMA, MGMA, ARRT, and the ASRT. Mrs. Riccitelli’s expertise include Clinical Management, Workers Compensation, Emergency Care, Strategic planning, Practice Management, Operations, Human Resources, Compliance, and Business Development. On a personal level, Mrs. Riccitelli spending time with her two children and husband and Photography. Ms. Rizzio credentials include certification as a Medical Practice Executive in the American College of Medical Practice Executives. She has been in healthcare for over 30 years and has had experience working in Private Medical Practice, National Medical Corporations and as a Hospital Executive. Her experience has been in OB-GYN, Pediatric Cardiology, Cardiology and now Orthopedics. Ms. Rizzio has also served on the AAOE Board, (American Academy of Orthopedic Executives), Executive Women in Healthcare. Ms. Rizzio has expertise in Practice Management, Operations, Compliance, Marketing and Business Development. She is a member of CMGMA, MGMA and the AAOE and also serves on various executive committees at Saint Francis Hospital. Ms Rizzio plans to continue her ACMPE Credentials in the near future and become a Fellow in the ACMPE. Sandra is the Director of Operations and Compliance Officer for Orthopaedic Specialty Group, PC. She has been in the healthcare field for 30 years. She has a diversified background. She began her career at Anthem growing within their company. She then worked for a National Ambulance Company managing their contract and collections and then their customer service department. She was the Front Office Manager and then Business Manager for a large oncology practice in Connecticut. She also was a member of the CSMS-IPA working to help keep private practices, large and small, independent. She obtained her Master’s Degree in Healthcare Administration from the University of New Haven. She serves on the Zoning Board of Appeals for her town and is an active member of the CMGMA and MGMA. In her free time, Sandra enjoys training and riding horses with her husband on their farm as well as spending time with their dogs. Scott Gruder graduated from Boston University’s with a Bachelor of Science degree in Athletic Training. He worked for various colleges before moving into the private practice setting as a Physician Extender. In this setting he implemented and ran an in-house DME program for orthopedic practices. He has also previously worked as a Clinical Manager for 4 years before his current job as Operations Manager for Orthopedic Associates. Mr. Gruder has been a speaker at the National Athletic Trainer Association annual symposium as well as the American Association of Orthopedic Executives annual meeting. His topics have included using ATCs in private practice and developing DME programs for private orthopedic groups. Ms. McKinley-Bell is the Principal Consultant for Shoreline HR Consulting and has been a Human Resources Executive and Entrepreneur for over 30 years, specializing in the Healthcare Industry. She achieved a Bachelor of Arts degree in Psychology from SUNY Plattsburgh, and holds a Masters in Business Administration and an Advanced Certificate in Not-for-Profit Management from UCONN. She is certified by the Human Resources Certification Institute as a Senior Professional of Human Resources and by the Society of Human Resources Management as a Senior Certified Professional. Her career has traversed the CT and NY healthcare continuum from acute, intermediate, home and long-term care, as well as hospital, ambulatory, rehabilitation, independent medical practice, laboratory and radiology services. Sheila has been a member of CMGMA since 2014 and joined the CMGMA Board in 2017. In her off time, Ms. McKinley-Bell enjoys traveling, cooking, reading and investing in real estate. Ms. McKinley-Bell also serves as Board Secretary for The Buttonwood Tree Performing Arts Center in Middletown, CT, is a member of the Elks Club and is an active member of the Society of Human Resources Management. 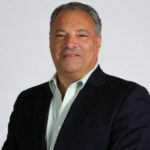 For over 31 years, Peter Verlezza has been the architect of technology solutions that make sense for medical practices, businesses and non-profits. His unique way of approaching challenges comes from a belief that it all starts with people. He is the author of 3 books, “Hassle Free IT MD: The Ultimate Medical Practice Guide For Finding A Professional, Competent, Honest, Considerate, On-Time, Fairly-Priced And Dependable Computer,” and the 2 Amazon bestselling books, “The Tech Multiplier: The World’s Leading Technology Consultants Reveal In Depth Case Studies of How the Smartest Businesses in the World Are Leveraging Technology To Increase Profits”, and “The Business Owners Essential Guide To IT and All Things Digital.” He speaks regularly to medical societies and business associations. 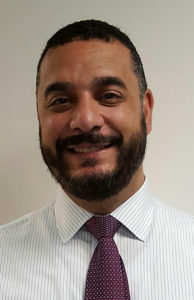 Peter has been a member of the Connecticut Medical Group Management Association for 6 years and has served on its board for the past 4 years. Christina Wagner is the Billing Manager and Compliance Officer at Connecticut Gastroenterology Consultants, P.C. 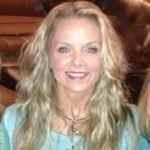 She is certified as a Certified Medical Practice Executive (CMPE) through the American College of Medical Practice Executives (ACMPE) as well as a Certified Professional Coder (CPC), Certified Outpatient Coder (COC) and Certified Gastroenterology Coder (CGIC) through the American Academy of Professional Coders (AAPC). Ms. Wagner has worked in the healthcare industry for over fourteen years. Her roles have ranged from Front Desk Receptionist and Billing Clerk at Connecticut Gastroenterology Consultants, P.C., Coder Analyst, Business Manager and Revenue Cycle Manager at Hospital of Saint Raphael until she found her way back home to Connecticut Gastroenterology Consultants, P.C. as the Billing Manager and Compliance Officer. She is an active member of both CMGMA and MGMA and looks forward to serving on the CMGMA board. 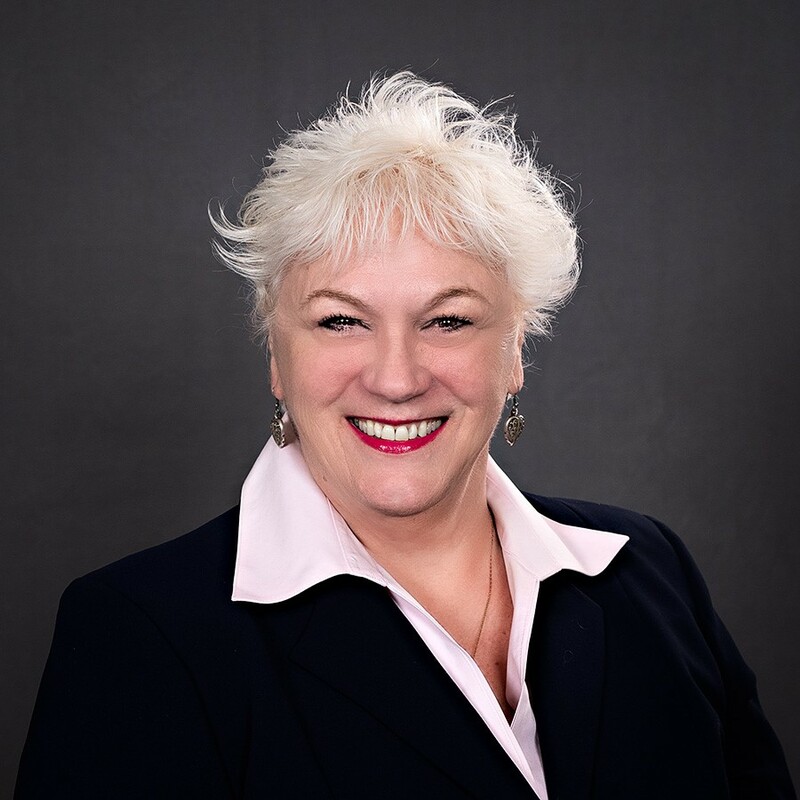 Michele Kelvey-Albert is the Vice President of Consulting Services at Qualidigm, where she manages the Transformational Services team including Health Information Technology, Workflow Redesign and Patient-Centered Medical Home initiatives. She has 20 years of experience in health care quality improvement, with a focus on improved performance in the outpatient practice. She also serves as the regional lead for the cardiac health task for the six New England states under contract with the Centers for Medicare & Medicaid Services Quality Innovation Network-Quality Improvement Organization work. She has recruited and assisted over 160 physician offices, one staff model HMO, and approximately 600 clinicians through the Patient-Centered Medical Home recognition process. She also manages the quality improvement team responsible for implementing the Advanced Medical Home Pilot and subsequent full program roll out for the State of Connecticut State Innovation Program Management Office, assisting over 90 physician practices and 15 Advanced Networks on the AMH Glide Path, leading the formative and summative evaluation measure process to inform progress towards the program goals. She also manages the Community and Clinical Integration Program (CCIP) implementation, providing technical assistance and a learning collaborative to support to up to 1,400 primary care providers, focusing on peer learning and supports through a learning collaborative, combined with a comprehensive evaluation. Michele and her Qualidigm colleagues have published numerous articles related to quality improvement work. She is a member Connecticut Public Health Association and the Connecticut Medical Group Management Association. 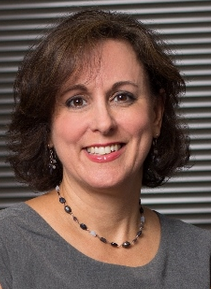 Michele has a Bachelor of Arts degree in Psychology and a Master of Public Health from Southern Connecticut State University and has received NCQA training in Patient-Centered Medical Home and ACO.